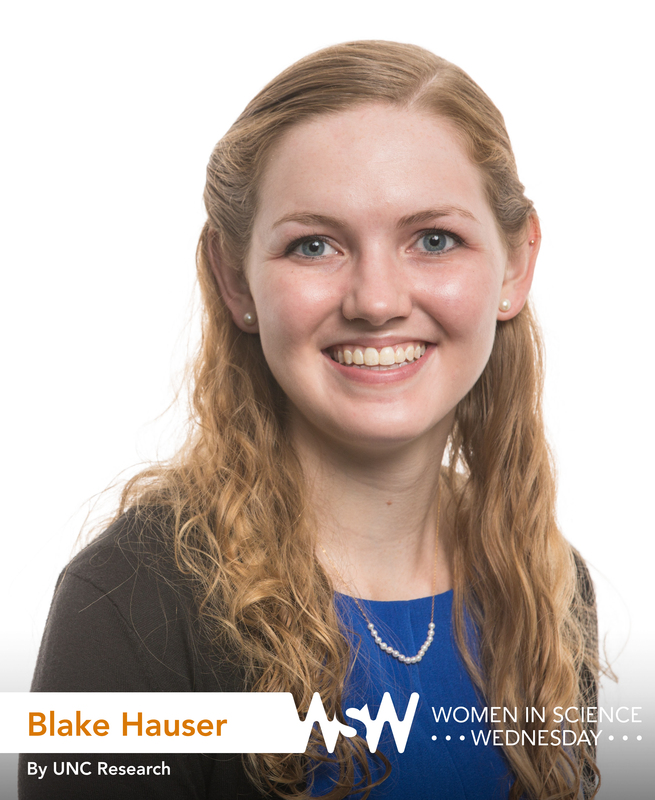 Senior Blake Hauser is double-majoring in environmental health sciences and biology, with a minor in chemistry. In January, she received the Churchill Scholarship, a research-focused award that provides funding to American students for a year of master’s study in science, mathematics, and engineering at the University of Cambridge. Her research focuses on the continuum of care for mothers diagnosed with HIV during pregnancy and the implementation of antiretroviral drugs that can help suppress the virus. There was a brief period of time where I told everyone that I wanted to be a veterinarian, but it was just a ploy to encourage my parents to get a dog. Usually, I said that I wanted to be a doctor. I really liked Band-Aids, so a job with unlimited access to Band-Aids sounded like a dream come true to me! Of course, my reasoning became more substantive as I grew up, but I feel very fortunate to be fulfilling my childhood aspiration of going to medical school. Describe your research in five words. What made you want to be a scientist? At first, I thought of scientific research as simply another extracurricular activity that I might enjoy in college. Turns out, the day-to-day problem-solving environment of a lab is fascinating. One weekend during my sophomore year, I was in the lab, where I spent most of my weekends and free time, to catch up on my epidemiology work. My friends thought I was weird for wanting to work instead of hang out. Then, it hit me — I liked making that tradeoff most of the time. I want to continue asking scientific questions for the rest of my life. 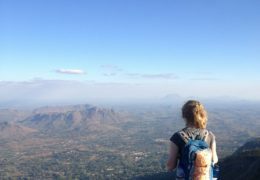 Hauser spent two summers in Malawi, Africa, researching HIV. Here, she overlooks the country’s beautiful landscape. Tell us a short story about an interesting thing that happened while you were doing research. 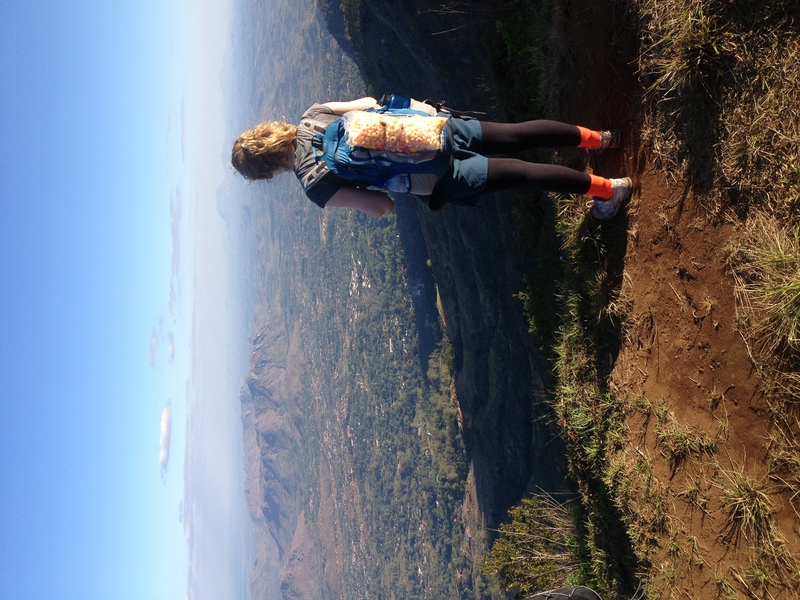 I spent two summers in Malawi studying HIV. One time, I stopped at a police checkpoint while driving home from collecting data at Bwaila (the women’s hospital). When I presented my American driver’s license, the officer started asking about why I had come to Malawi. I explained that I was researching the prevention of mother-to-child transmission of HIV. He told me that he had witnessed, firsthand, a dramatic reduction in this type of transmission over the past decade. I always find it incredibly motivating to hear people share their perspectives on HIV, particularly when those experiences validate the massive scale-up in HIV treatment and prevention efforts that have occurred recently. Knowing that the work that I am doing could, in some small way, contribute to this positive change is empowering. What advice would you give to up-and-coming female researchers in your field? I think it is incredibly important for everyone, but especially female researchers, to remain committed to science despite the challenges associated with such a rigorous course of study. Additionally, accessing resources such as professors whose career trajectories you admire or researchers whose interests align with your own can be invaluable. Finding strong mentors and forming relationships with those individuals is crucial to building self-confidence. UNC Research is proud of every scientist on this campus, but we are especially excited to promote our female researchers in 2016. Each week this year, we will publish a short Q&A feature on one of them — whether she is an undergrad, PhD candidate, or full professor. Please click here to make a recommendation. Check out our 2016 Women in Science Wednesday Infographic! This entry was posted in Women in Science Wednesdays. Bookmark the permalink.